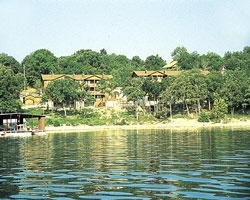 At *Indian Point Resort Condominiums*, guests can enjoy the excitement of Branson from comfortable accommodations. 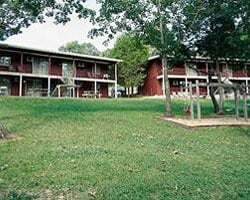 Right on Table Rock Lake and in the presence of the beautiful Ozark Mountains, Indian Point offers a naturally breathtaking backdrop guests are sure to appreciate. The resort features boat docks with free paddleboats, fishing docks, swimming pools, boat rentals, a game room, playground, hot tub, barbecue patio and picnic areas. Nearby, Whitewater Park, theatres, outlet malls, Silver Dollar City, and Dixie Stampede are considerable draws. Experience the fun that is Branson, and stay at Indian Point Resort Condominiums! For more information, visit www.indianpoint.com. Lovely lake resort close to Branson's entertainment! Yearly usage in July week 30! Buyer receives complimentary closing credit; inquire for details! Lake lovers' paradise in Branson! Yearly in August week 31! Buyer receives complimentary closing credit; inquire for details! Overlooking Table Rock Lake and close to Silver Dollar City! Unit features a fireplace, balcony, washer/dryer, and 2 whirlpool tubs! Large suite with the ability to separate for privacy! Buyer May Receive A Title Fee Credit, Inquire For Details! Nice resort for nature lovers! Come enjoy the many outdoor activities offered! Floating week! Inquire for details!